In the January issue, Editor Derek Prall describes how cities and counties are working to manage traffic using big data analytics . Also in this issue, Peter Dye discusses several projects accomplished through innovative financing, and Joseph Kosper, co-founder and CEO of RideScout, explains how transportation systems can be designed with mobility for all residents in mind. In the September issue, Robert Barkin explores the staffing crisis many local governments are facing. Also in this issue, Derek Prall discusses ways cities and counties deal with underutilized golf courses, and Stephanie Toone outlines ways municipalities can protect themselves digitally. In the August issue, American City & County Associate Editor Derek Prall explores the ways police are working to improve community relations. Also in this issue, Associate Editor Stephanie Toone discusses ways cities and counties deal with bankruptcies. In the July issue, American City & County Honors it’s 2015 County Leader of the Year, Jonathan Sweet, Grayson County, Va.’s administrator. Also in this issue, Melissa Klein, communications lead of the U.S. Environmental Protection Agency Center for Corporate Climate Leadership and Green Power Partnership announces this year’s city and county winners, and Gregory Cook, a senior project designer with HOK explains how the design of correctional facilities can promote social justice. In the June issue, American City & County takes a look at co-op purchasing, and writer Derek Prall offers a technical guide to cloud computing for the non-technical. In the May issue, American City & County explores the unique challenges facing fire and law enforcement officials. Writer Derek Prall takes a look at automated transportation systems, and a gallery showcases eco-friendly projects from across the country. In the April issue, American City & County continues its Future Forecast series, examining public safety technology in 2020. Writer Derek Prall explores how cities and counties are fighting corruption, and a gallery highlights several parks and recreation projects from across the country. In the March issue, American City & County continues its Future Forecast series, examining Sustainability in 2020. Writer Derek Prall delves into sports tourism, and a gallery features public safety projects. 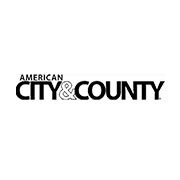 American City & County continues its Future Forecast series, this month examining energy management in 2020. KaBoom! highlights cities implementing playability initiatives; Derek Prall explores bankrolling Affordable Care Act benefits, and Government Product News previews the Work Truck Show. In the Feb./March issue, Government Procurement features the survey results predicting future procurement trends and examines strategic sourcing advice for local governments.